All chalets and runs are very spacious fully insulated with shelving and scratching posts. All have full height sneeze barriers. All chalets have thermostatically controlled heating. Please bring toys and beds if possible as cats are happiest with familiar things around them. We are more than happy to provide comfy beds. Particular attention is paid to owners instructions regular meal times are strictly adhered to. Adult Cats being fed twice daily, Kittens and elderly Cats according to their individual requirements. We use only the best quality foods prepared in hygienic conditions, special diets are catered for. We will only accept Cats with a current up to date Vaccination Certificate against Feline Enteritis and Cat Flu. All Cats will be checked on arrival any showing signs of ill health will not be accepted. Owners will appreciate that this is essential in order to safeguard all the Cats that are boarded. Should a Cat become ill during its stay Veterinary advice is assured and full treatment will be carried out. We are sorry we are unable to board entire males over the age of 7 months. Please would you be kind enough to treat your Cat for fleas in advance of their stay as any flea infestation will be treated and added to boarding charges. As only Teresa and Marion work in the cattery, they are able to get to know all the cats that come to stay. We take great pride in the understanding of our guests, and building a rapport with new cats is one of the greatest rewards for us. We feed the cats breakfast, lunch and supper, however as we look after many kittens and elderly cats, individual needs can be catered for. 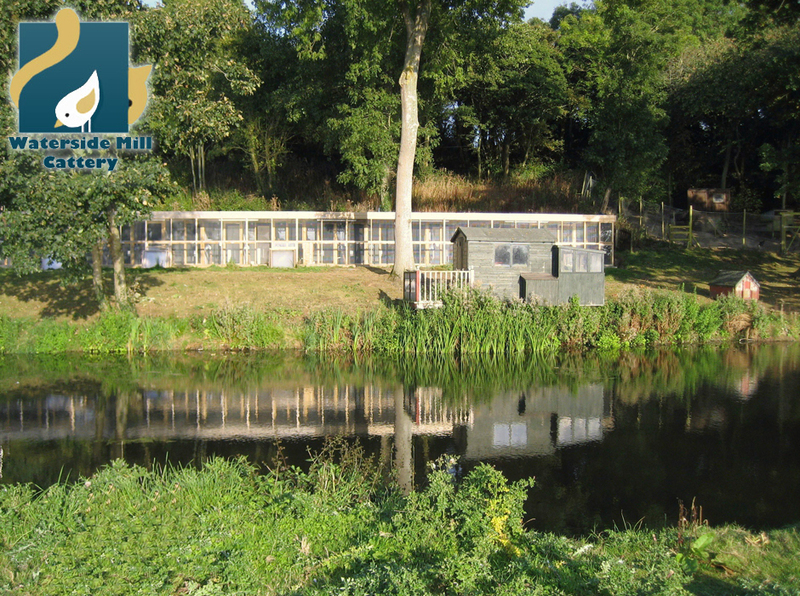 The cattery is situated next to a beautiful lake, full of wildlife and natural entertainment for the cats; nestled in the edge of woodland, peace and quite is guaranteed.